A side impact car crash, as the name implies, happens when a vehicle collides with the side of another vehicle. Depending on the exact location of the collision, the driver or passengers can suffer serious injuries, even if the vehicle is equipped with airbags and passengers are wearing a seatbelt. These accidents have a high percentage of fatalities and serious injuries because there is far less protection on the sides of a vehicle, as opposed to the front and back of a vehicle, which have bumpers for protection and impact absorption. Side impact collisions are second only to head on crashes in fatalities. Some cars do have side airbags, which can certainly help but do not provide enough protection to keep occupants from becoming injured in most side impacts that occur at high speeds. Unlike some rear-end collisions that can occur at relatively low speeds at stop lights, side impact collisions very often happen at high speeds. For instance, if a car runs a red light or fails to stop at a stop sign and another car is approaching, the resulting collision could be very severe. The NHTSA conducted a study to understand the characteristics of injuries suffered by people in various age groups in traffic crashes including side-impact collisions. The study found that older drivers were at a higher risk of serious injuries in left-sided impact accidents. The study also found that there was a reduction in the severity of injuries if the person was wearing a seatbelt at the time of the side impact crash. However, left side impact accidents caused catastrophic injuries to the chest and head, while causing less severe injuries to the lower parts of the body. The older the driver, the more likely the driver suffered chest injuries in a side impact accident. 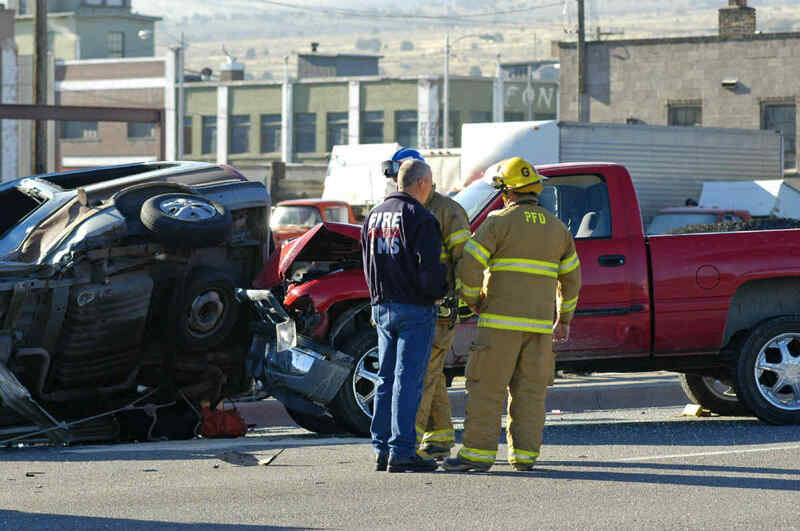 The size of the vehicles makes a difference in the severity of the injuries. When a large vehicle like a truck or SUV smashes into a smaller vehicle the damage and injuries that result will most likely be devastating. This increases exponentially if the vehicle is even larger like a commercial tractor-trailer, bus, semi, or another huge vehicle that outweighs a car 3 or 4 times over. If speed is added to the equation, unfortunately, this accident often results in death. Side impact crashes account for about 25 percent of all fatal crashes and 40 percent of them lead to serious injuries. This is because the front of a car can absorb almost 5 times as much impact as the side of it. Every year, about 8,500 people are killed in side impact collisions. Most of these serious side impact crashes occur because of a driver’s failure to yield to a red light, stop sign, or another signal. These crashes are also known as broadside collisions or T-bone auto accidents. As you can see, these accidents can be horrific and the effects catastrophic. If you or a loved one has been in an accident and injured in a side impact crash, or if a family member has been killed, contact a Missouri car accident attorney. In these situations, you have legal rights and are entitled to compensation for injuries and other damages relating to the accident. An accident that was caused by another driver’s negligence can be successfully handled by an experienced personal injury attorney. We will help you recover compensation for damages for the injuries that you and your passengers have suffered.